Despite the huge shift to healthier eating habits across the country, the quintessential burger is still one of the most popular menu items to date. This might sound surprising, given the calorie counts and boom of healthy menu options sprouting up everywhere. Consumers push for healthier options but still eat less-healthy items like burgers. Why the oxymoronic behavior that makes people choose burgers burgers over healthier options? Several factors are likely coming in play here. Perceived value, for example. When you go out to eat, why choose the healthy option when it looks like a little more than a boiled piece of chicken and a sparse salad served with bleak, bland rice pilaf? You could make the same thing at home for much less and enjoy a larger portion at that. Plus, more often than not, the salads and lighter fare cost even more than burgers at restaurants. No one wants to pay more than they think something is worth and that couldn’t be truer when it comes to dining. If I’m going to order something healthy while I’m out, it needs to be something that makes healthy sound better than burgers. On the other hand, there’s the healthy façade on the food we consume. Sometimes, you’re better off with a burger when you look at the caloric content of other meals. Most people are aware that salads are only healthy when they’re not topped with fried chicken and drowned in thick, creamy dressings. 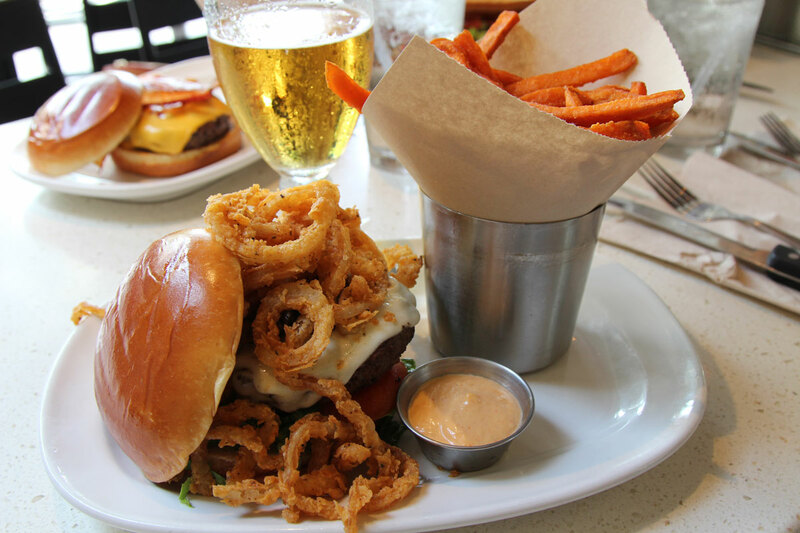 If you love burgers, you may as well order one of them instead of a salad that has the same amount of calories. Most people don’t go out to eat for every lunch or every night of the week. If you’re like me, you probably make healthy and nutritious meals at home most of the time. You eat whole wheat and use brown rice. You portion out your meals. You bake instead of fry. So when you go out, you don’t want to pick the big salad or the steamed fish. 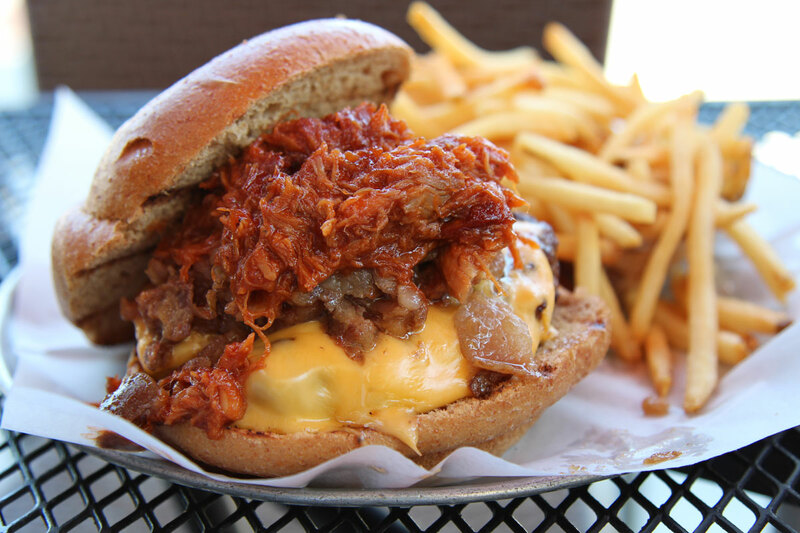 You want meat, cheese, more meat and sauce surrounded by a sea of fries and you’re going for it. Perhaps what motivates our choice of burgers over other dishes is more innate. It’s likely a carnal urge for meat that needs to be addressed. There is something so hypnotizing about a fresh-off-the-grill patty of beef, sizzling away and releasing its siren song into the air. It perfumes all surrounding areas with the tantalizing scent of rich, seasoned meat with a slight char edge. And if you walk into a restaurant that does burgers, you will most likely inhale this smell deeply, either consciously or subconsciously, inadvertently favoring your decision to choose the meat. Burgers are probably the world’s most popular prepared food, if not (at the very least) one of the top-five. Also, now every chef is selling burgers at their restaurant — not to mention that burger chains keep creeping up around the country. And burgers are always cheap in comparison to the entrees cost. Add that to the familiarity factor and you will find other food items will hardly beat a burger. Maybe the pizza beats it, but likely not by much. Reasons people choose burgers over healthier options when they go out dining. It might be burgers are very popular or they are cheaper than most menu items.